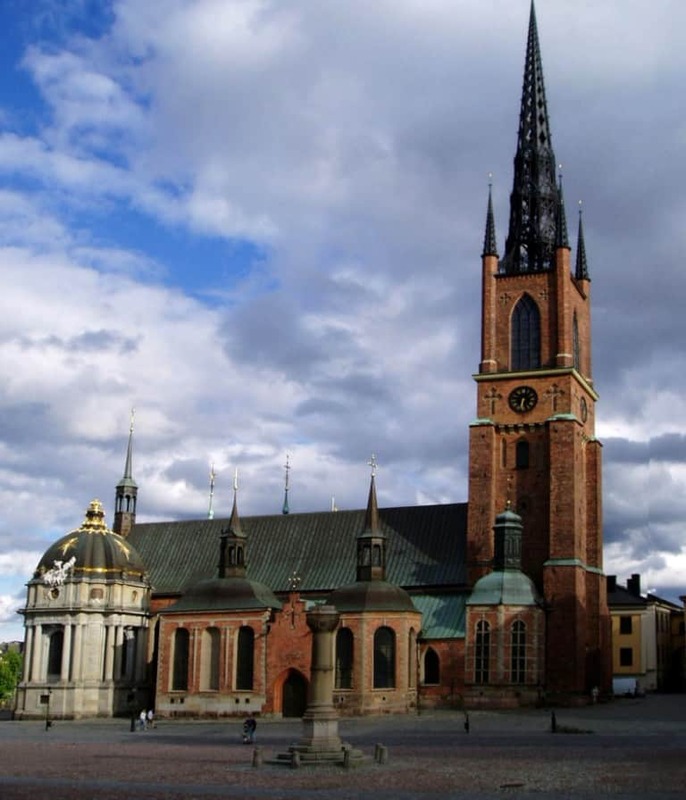 The Riddarholm Church is the burial church of the Swedish monarchs. 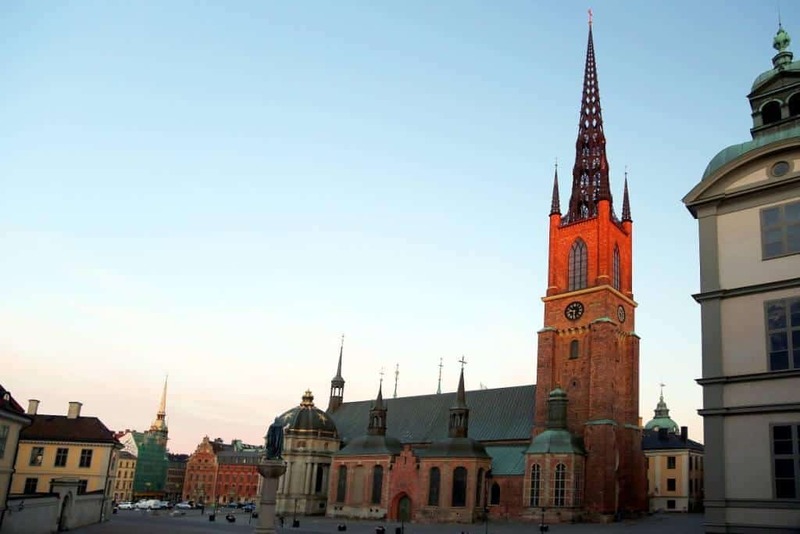 It is located on the island ofRiddarholmen, close to the Royal Palace in Stockholm, Sweden. The congregation was dissolved in 1807 and today the church is used only for burial and commemorative purposes. Swedish monarchs from Gustavus Adolphus (d. 1632 AD) to Gustaf V (d. 1950) are entombed here (with exceptions such as Queen Christina who is buried within St. Peter’s Basilica in Rome), as well as the earlier monarchs Magnus III (d. 1290) andCharles VIII (d. 1470). It has been discontinued as a royal burial place in favor of the Royal Cemetery. 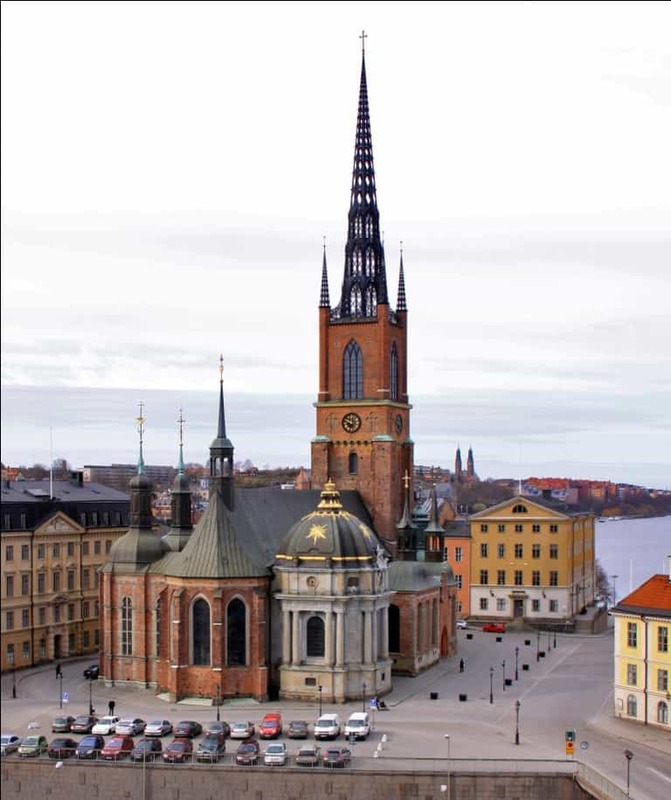 It is one of the oldest buildings in Stockholm, parts of it dating to the late 13th century, when it was built as a greyfriars monastery. After theProtestant Reformation, the monastery was closed and the building transformed into a Protestant church. A spire designed by Willem Boy was added during the reign of John III, but it was destroyed by a strike of lightning on July 28, 1835 after which it was replaced with the present cast iron spire. Coats of arms of knights of the Order of the Seraphim are in the walls of the church. When a knight of the Order dies, his coat of arms is hung in the church and when the funeral takes place the church bells are rung constantly from 12:00 to 13:00.